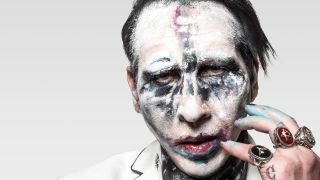 Marilyn Manson took to Instagram this weekend to announce that he is working on a new studio album, which is apparently nearly finished. Tagging in outlaw country musician Shooter Jennings, with whom Manson collaborated on a David Bowie cover in 2016, he took to the social media platform to declare that work on the album is soon to be finished. It will mark Manson's 11th studio album to date. The post follows news that Manson will be heading out on a 22-date Twins Of Evil tour with Rob zombie this summer. The Twins Of Evil: Hell Never Dies Tour will get under way at the Royal Farms Arena in Baltimore on July 9, and conclude at Gilford’s Bank of New Hampshire Pavilion on August 18. Tickets are on sale now – check out full dates below.